There continues to be call for greater community awareness actions and strategies to reduce stigma and enhance mental health literacy nationally and internationally. To identify local barriers to help-seeking and perceptions around stigma, we developed a ‘mental health attitudes and beliefs’ survey which was administered at a range of community events on the Central Coast in New South Wales, Australia. The aim was for the results of this survey to inform the development of strategies that enhance local help-seeking behaviours that are sensitive to the role of age, gender and Indigenous status. People who approached our Mental Health Information stall were invited to complete the survey and 282 individuals completed the survey. The data was analysed descriptively with a focus on comparing subgroups based on age, gender, Indigenous status, and previous service access or experience of mental illness. 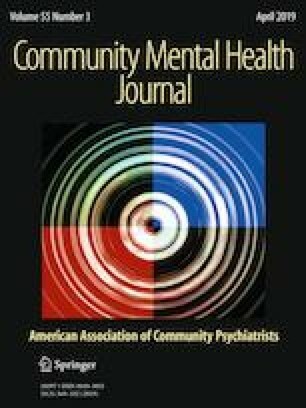 Cost, stigma and mental health literacy were found to be prominent barriers to help-seeking for the overall cohort; however, the ways in which or extent to which these barriers impact on help seeking varied between subgroups. A discussion of these differences and their implications for practice is the focus of this paper. Ethics approval for this study was received through the Hunter New England Human Research Ethics Committee and the Central Coast Local Health District Research Office. All procedures performed in studies involving human participants were in accordance with the ethical standards of the institutional and/or national research committee and with the 1964 Helsinki declaration and its later amendments or comparable ethical standards. Australian Bureau of Statistics. (2012). 2011 census of population and housing, basic community profile (catalogue number 2001.0): Central Coast. Retrieved from http://www.abs.gov.au/websitedbs/censushome.nsf/home/communityprofiles?opendocument&navpos=230.